10 – What can I use Disney gift cards for at Walt Disney World? Just about everything. Most of the locations at Walt Disney World will accept Disney gift cards. A good rule of thumb is to notice if they take electronic payments. If they do and are a Disney-owned location, they typically also accept gift cards. Not only that you can use the gift cards at restaurants, recreation around Walt Disney World, your resort package stay, dining plan, etc. 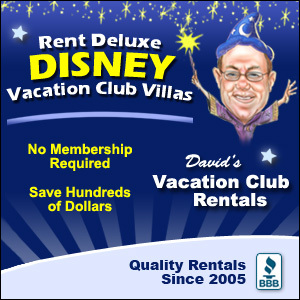 You can even pay the balance of the charges you made back to the resort using Disney gift card funds. 9 – Do the gift cards expire? No. The funds are available for use until they are completely gone. There are also no fees acquired at any point for maintaining a Disney gift card with a balance. 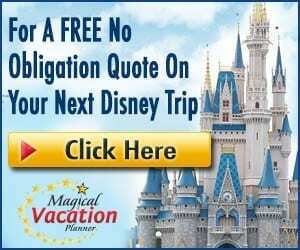 8 – How do I pay for my Disney vacation with multiple gift cards? If you want to pay off your vacation package with gift cards, the agents will typically only allow you to use a limited amount of cards in a single transaction. To simplify this process and put your funds on fewer numbers of gift cards, you can transfer balances to one card from https://www.disneygiftcard.com/. Gift cards have a limit of $1,000 per card, so if you have more than that, you will have to combine them over multiple cards. 7 – How do I check my balance? You can call the number on the back of your card and reference the numbers on the back. You can also check your balance online from the Disney Gift Card site at https://www.disneygiftcard.com/Manage. When you make purchases, the remaining balance should also be on your receipt at many locations. 6 – What is this “discounted gift cards” thing I hear people talking about? You may have heard that many guests pay for their entire vacation, food, souvenirs, etc. with Disney gift card because they bought them at a discount. This is really easy to do. If you shop at Target, Sam’s Club, Costco, etc. then you can find gift cards at a discount. With Target, you get 5% off if you use your Target Red Card (free to get and has debit or credit card options). At the wholesale stores, you can buy 3 gift cards for a lesser price than the face value that usually ends up saving you between 3 – 5% depending on the price and store. Those savings really do add up! 5 – What if I lose my card or it gets stolen? You will want to call 1-877-650-4327 as soon as you realize it is missing. You will need to have the gift card number available. 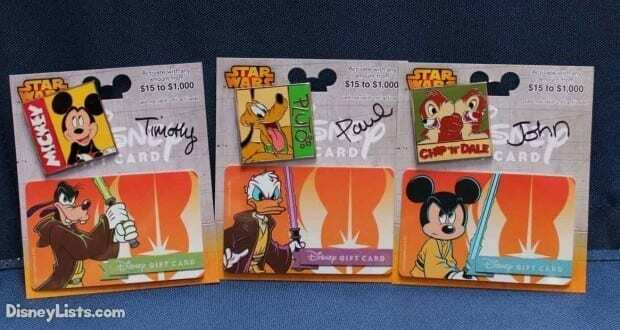 Disney will use this to freeze the funds on that card and issue you a new card. It is a good idea to take front and back pictures of each of your Disney gift cards when you buy them so that you have this information in the event that this unfortunate situation should occur. 4 – Can I combine Disney gift card payments with another form of payment? Yes, there may be scenarios where you only have a partial balance remaining and will need to pay the rest with another form of payment. This is completely acceptable and a good way to use up the remaining balances across gift cards. 3 – What happens if I return or cancel something I paid for with a Disney gift card? The processes vary by location, but typically refunds are processed back to the gift card that they were purchased with. You will want to make sure to hold onto all of your receipts and your used gift cards just in case you need to get a refund. This will help prevent issues. In some cases, like with vacation packages, a check may be issued in the mail, subject to processing delays. 2 – What about the water parks? Disney water parks present a unique challenge for carrying and spending cash/credit cards safely. Swimwear isn’t made for it and both can easily be lost on one of the slides or wave pools. Disney gift cards are a great alternative. If the gift card is lost, the card and the funds on it can be replaced (see tip #5). There are also gift cards available with wrist straps that are perfect. You can find them at the water parks, or do what we do and hang onto a wrist band gift card or two from one of the Epcot festivals. 1 – Am I able to reload my Disney gift card? Yes, you can absolutely re-load them if you want to save the plastic and keep the same gift card number. They are able to be re-loaded for any amount between $5-$1,000. You can do this at any Disney location that actually sells Disney gift cards. They are no online re-load options available.